New York based actor Carlo Cruz was still based in Manila late 2012 when he auditioned for Heneral Luna. He didn’t get a call back. He moved to New York to further hone his craft. Three years later, he got a call from the producers and they offered a role for Goyo. 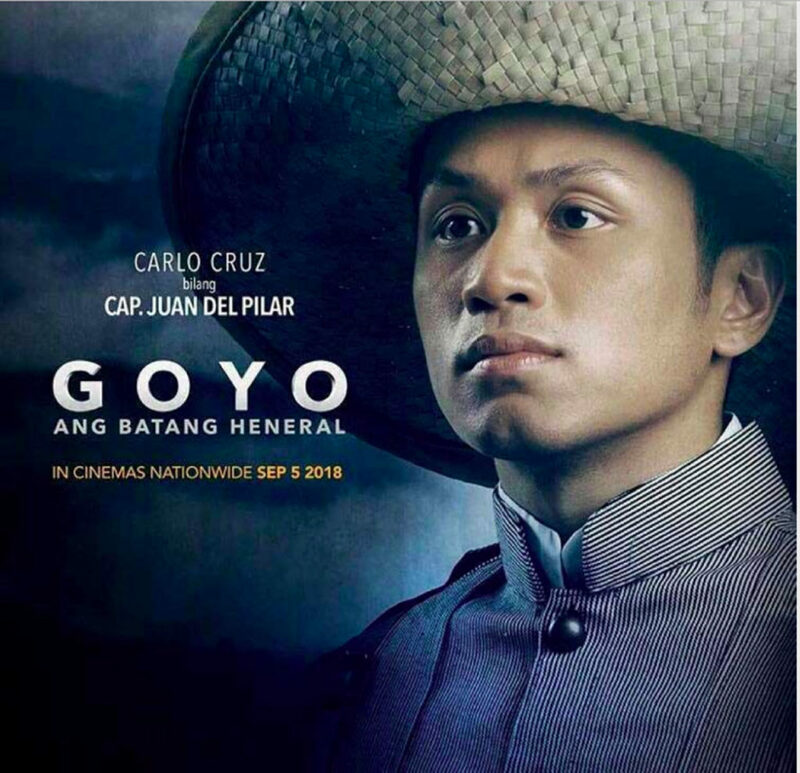 Cruz plays the role of Captain Juan del Pilar, a younger cousin of Goyo’s. He did his part researched about the man but there’s not much in history books. Carlo Cruz with two of his Goyo co-stars, Rafa Siguion-Reyna and Mon Confiado taken during a promotional stint in Cebu. “The lack of material to work with in a way opened doors for me to be creative and look at the script with a fresh perspective, free of bias,” he shared. 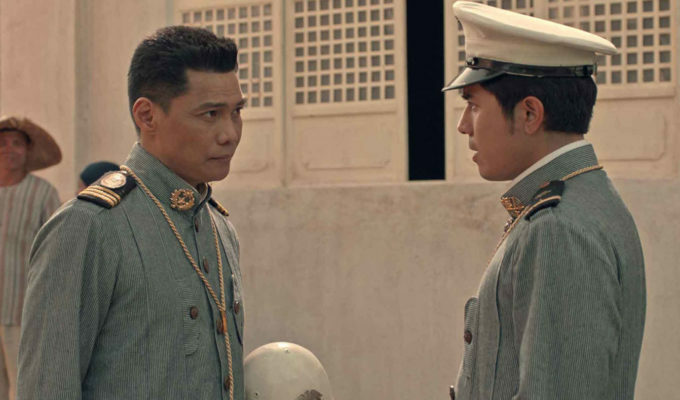 Prior to Goyo, Cruz was last seen in Toto, a film by New York based director John Paul Su. Cruz started his career in Manila doing commercials, then he got into independent films. He did a Cinemalaya film called The Animals and worked on a few more. 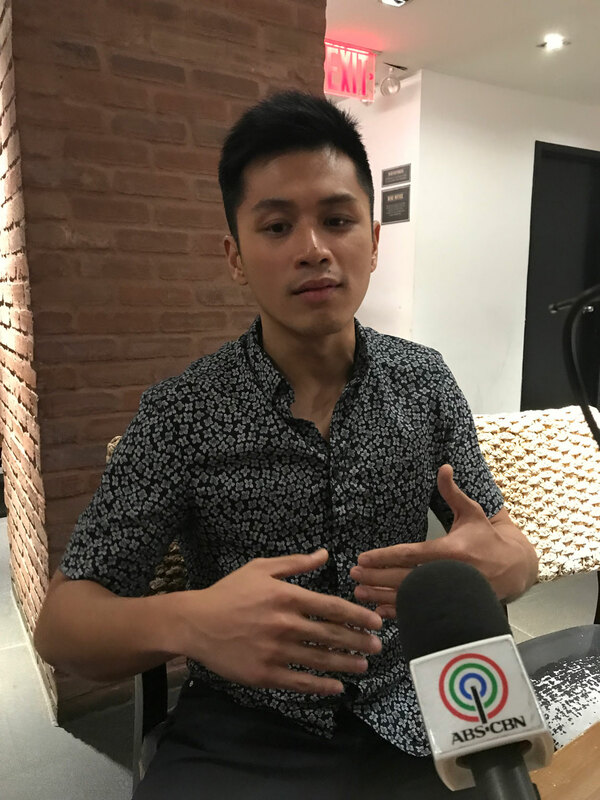 In New York, he decided to hone his craft by enrolling in Lee Strasberg Theater and Film Institute, the same school that Jake Cuenca attended a few years ago. He decided to stay in New York for a while to learn and absorb the working culture. 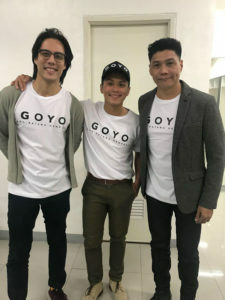 The shoot for Goyo took the cast and crew all over northern and central Luzon. They shot from May to November 2017. Cruz’s first day was end of June until October. “Direk Jerrold followed the schedule, we would do 12 hour days so we would have enough time to rest and recuperate for the next shooting day. The energy on the set was always good, laging ganado. They were meticulous and organized as far as scheduling is concerned,” Cruz said. Working on the film and gaining the entire experience made him realize just how much potential Philippine cinema has. For now, his main goal is to grow as much as an artist and to absorb, take risks, make mistakes and learn from them. The process may feel a bit chaotic but he feels there’s a benefit because he is always evolving. “I consider myself as a journeyman. I try to evolve as an artist, as a person. I try to work on my craft and better myself and wherever the meaningful work is, I’m there, whether it’s in the Philippines or here, I will follow my dream,” he said. Cruz considers himself very lucky to be a part of a project such as Goyo, where everybody is pushing each other to get better. He is also thankful that the Philippines has a lot of filmmakers who are very brave. “It’s not always about entertainment, the social commentary aspect, that’s the power of film and that is extremely necessary as well,” he said.